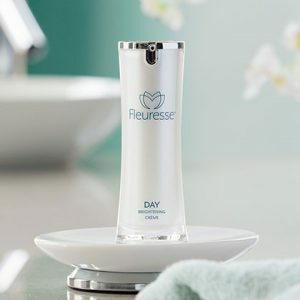 Fleuresse Day Brightening Creme soothes, calms, and nourishes your skin by providing intense hydration to prevent fine lines and soften the look of existing lines and wrinkles. To create Fleuresse, Kyäni combines and enumerates the remarkable ingredients we have used for years in the Triangle of Health—including Blueberry, Noni, and Tocotrienol Vitamin E—with plant stem cell extracts from a rare variety of Swiss apple. With this blend of natural ingredients, Fleuresse acts to hydrate and nourish your skin, and reveal a brighter, more youthful looking appearance.